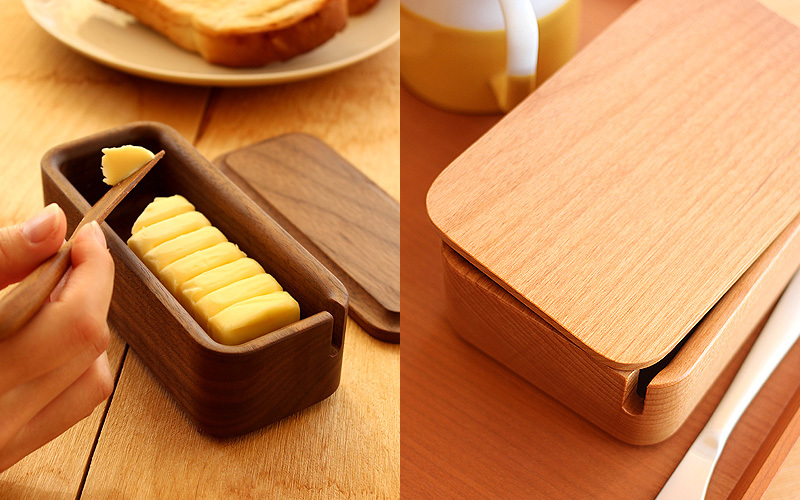 This butter case is carved out of chunk wood making lavish use of pure material. 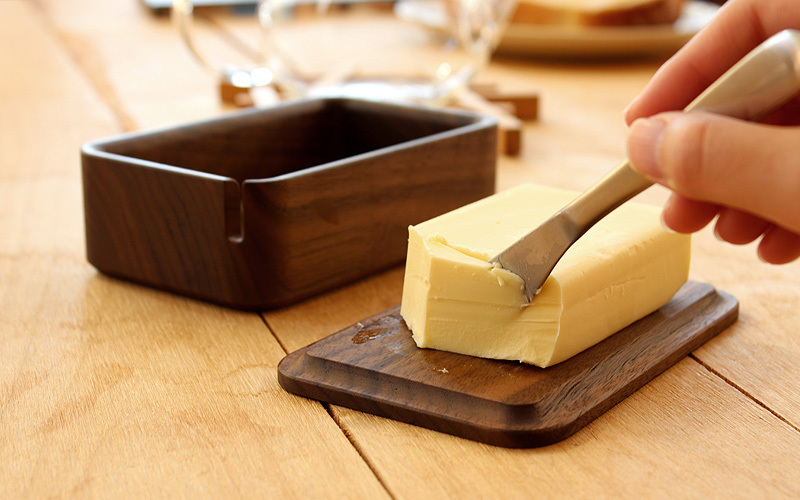 Together with a whiff of melted butter on a slice of toast, warm feeling of wood enhances a calm and relaxing atmosphere of a family table. 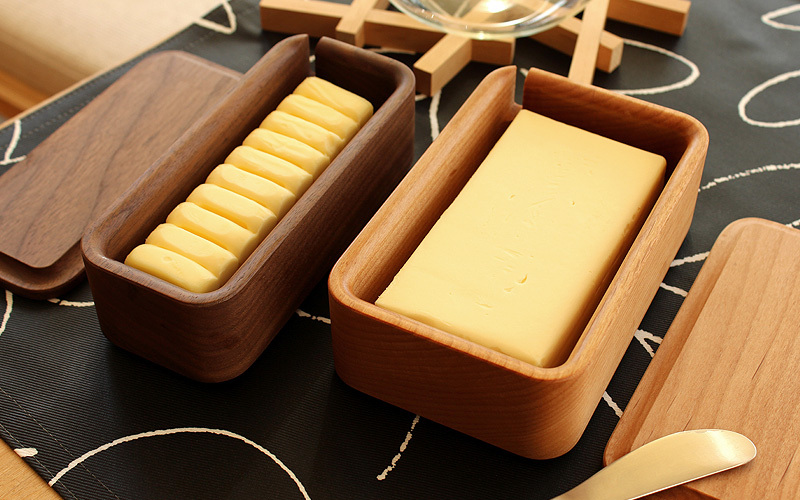 Inside corners are finished with gentle curves for smooth scoop and easy cleaning. Available in two sizes.